The first requirement is to provide a detailed profile of the business that you are currently running. This will include detailing of the business type that you are running. You will also need to provide the time limit from when you are running this business. Also, any information regarding the overall sales, profit and loss reports will also need to be discussed. Finally, the total number of people working under you needs to be mentioned along with the area of location of the venture. Apart from providing this information, you will also be asked to provide all the business operation related news. The next requirement is the process to select the correct SBA loan that will best meet your purpose. You will need to discuss the amount you feel is necessary for your venture and then specifying the detailed information about how you will use these funds for your business. One thing should be kept in mind: Always read carefully all the schemes and plans available before applying. You need to ensure that you are choosing the best scheme to meet your needs and requirements. Unless you undergo the correct selection and application procedure, you will find that you have achieved nothing as your application will be ruled out. The next step of the application process is extremely crucial. It is related with all the financial statements regarding your business venture status. 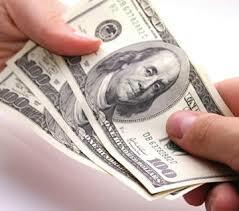 However, this scenario is common to every loan package that you will obtain from anywhere. All the financial statements are required to be submitted pertaining to the last three years and also of the present year. Not only the financial statements but also certain other financial calculative sheets need to be included. The account payables, receivables and the transactions related to cash flow are also required to be shown. The major advantage in this criterion is that suitable proof can be provided through some statements of cash flow on monthly basis to highlight the fact that you can repay the loan amount without any sort of trouble or difficulty.